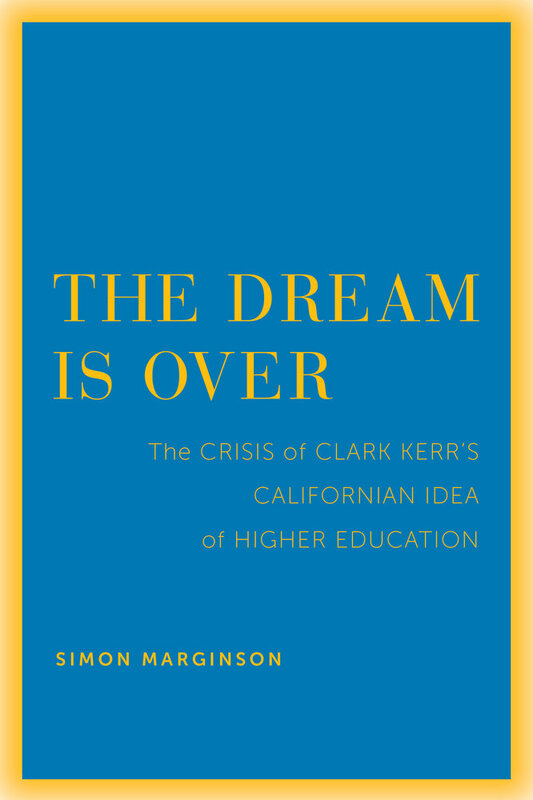 "Clark Kerr's influential vision for a public, meritocratic and high quality state university system for California has exercised enormous influence not only in the United States but throughout the world. 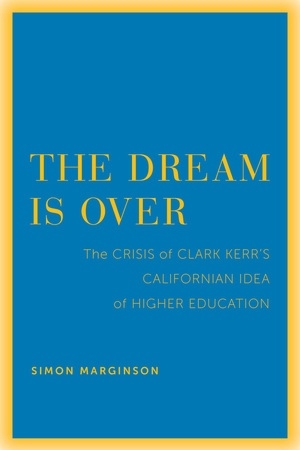 This important book captures a remarkable irony in the success of kerr's 'California idea' of higher education: while the idea continues its powerful effect internationally, the concept is losing its traction at home. The Dream is Over benefits from its author's strong historical grounding and international perspective. It offers contemporary scholarship that speaks directly to central concerns of university leaders and policy-makers. Professor Marginson, once again, offers a valuable contribution to the international higher education conversation." —Glyn Davis, Vice-Chancellor and Principal, University of Melbourne. "The Dream is Over is a powerful work of scholarship and synthesis. It tracks historical shifts in American politics, society, and economy; the rise of global science; and the worldwide effects of global university rankings. It has wide implications for policymakers, within and beyond the U.S." —Dr. Geoff Sharrock, Program Director at the LH Martin Institute. 7. Whither the California Idea of Higher Education?